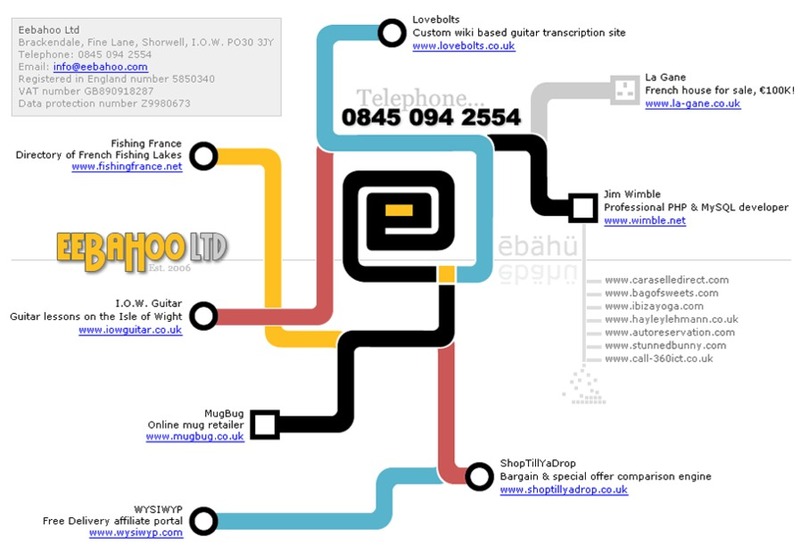 Eebahoo Ltd is an island based professional web development company specialising in PHP & MySQL site architecture. So what does this mean and what can Eebahoo Ltd do for my business? PHP & MySQL are the complicated bits behind the scenes on websites. The programming, the code, the gobbledegook, the stuff that most web designers don't touch. We build e-commerce sites, content management systems (CMS), data comparison and analysis suites, basically any custom web-based system specific to your requirements. You end up with a bespoke site tailored to your needs – not a butchered off-the-shelf solution. Eebahoo Ltd is owned and actively run by Jim Wimble, a professional programmer for more than ten years. All communications regarding your project will come through Jim from start to finish. Only one point of contact; one person who knows your project inside out. We don't sub-contract any work. All projects are carried out in-house and you deal directly with Jim. We're based in Shorwell on the island and English: no miscommunication; no misunderstanding. We do carry out standard website work too but our real strength is bespoke web applications built in PHP &MySQL. Our rates are £32.50 per hour (+VAT) or of course we can work to a quote or budget. The majority of our work comes from web designers sub-contracting the complicated bits to us. You can effectively cut out the middle-man and come direct saving you time and money. If you have a project in mind, need help with an existing site or have a site that needs fixing we can help. We are honest, open, flexible and our prices reflect that. To discuss a project or arrange a meeting or if you simply have an enquiry call Jim Wimble on 0845 094 2554 to get the ball rolling. The map of the Eebahoo PHP & MySQL development world.